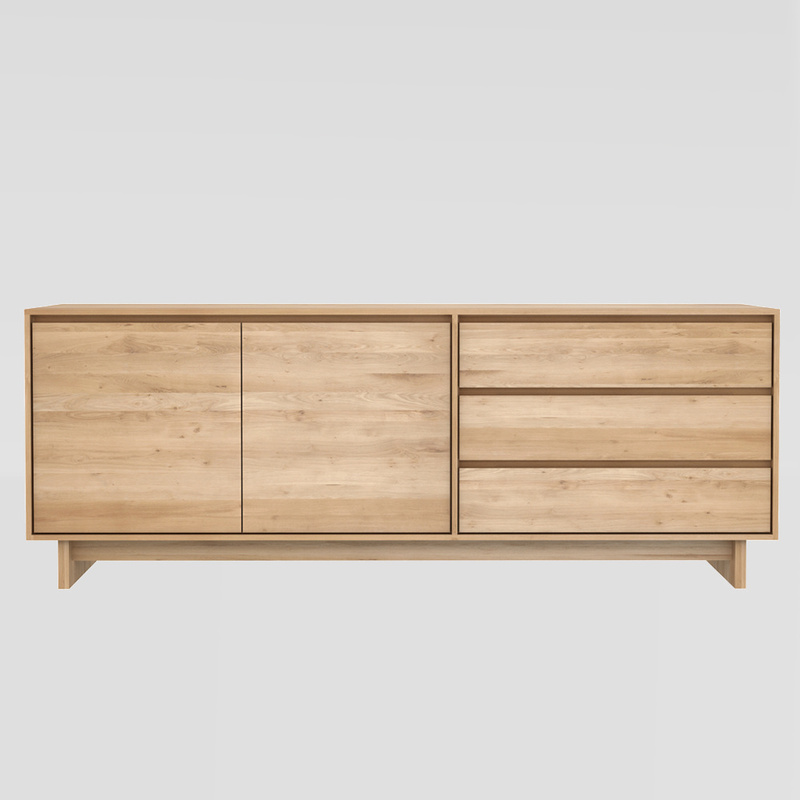 Made from solid oak, the Oak Wave Sideboard features contoured cabinet doors, distinguished feet and handleless drawers with a soft closing mechanism. "Alain van Havre is Ethnicraft’s in-house designer. The complexity of things has always intrigued him, which led him to study product development at the Design Academy of Eindhoven, The Netherlands. To him, all design embodies the same duality: the aim is to create a timeless product, yet with a hint to the specific moment in which it is made."